In Britain, the surname lies at the heart of genealogy; most of us carry round with us a medieval name-tag which might have arisen from where an ancestor lived, what they looked like or their occupation. 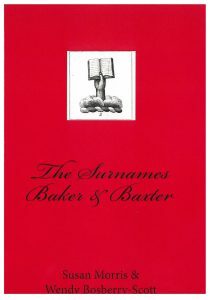 In 1986 Debrett Ancestry Research acquired Frank Leeson’s Surname Archive and took on the legacy of Frank’s ‘Surname Report’ service by providing detailed studies of British surname origin and distribution, using a wide variety of printed sources. 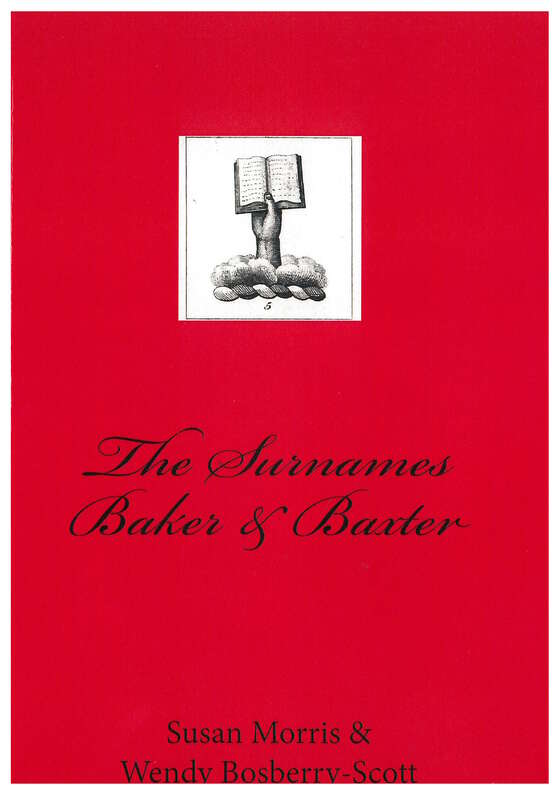 We are now gradually updating and releasing a selection of studies from the Debrett Surname Archive in Kindle and paperback form. The academic study of surname origin is a slow and painstaking business, and few counties have the good fortunate to have been covered by the English Surname Series, which provides an in-depth study of local surnames from earliest records onwards. At the other end of the scale, ‘surname scrolls’, which typically provide a brief hotchpotch of notes from dictionaries and random examples from historical records, enjoyed a bit of a boom when the potential of modern mailing lists met the surge of interest in all things genealogical. The latest development is, needless to say, online, and many websites now offer surname analysis and history. We have been looking at some of the many sites out there, using two names (one rare and one common) to test the databases. Dominating the field is the US giant Ancestry.com, which draws upon its huge genealogical databases to analyse surname distribution and provide some general statistics. The starting point is simple; typing in your surname leads immediately to a choice of results. For rarer surnames results will be sparse, and older documents are often inexpertly transcribed and indexed. If your surname is included in the Dictionary of American Family Names (OUP 2013) Ancestry will pull out the relevant entry; no further attempt is made to establish the origins of a name. Further categories can be selected after an initial selection of ‘United States’, ‘England and Wales’ or ‘Scotland’ (sorry, Ireland). For the ‘England and Wales’ section, a distribution map will appear (based on a single census), but this is followed by some entirely US-based data collections about immigration and civil war service (that’s the American Civil War, by the way), and an analysis of occupations and, rather startlingly, life expectancy. No UK data is used in these sections. So, despite all that big data, this service is of moderate interest for those in the US only. This site claims modest coverage of just under 50,000 surnames and is based on a former mail order service which provided potted surname histories on scrolls. The last company statement is dated 2007 but users can provide links to their own information. ‘Statistics’ are drawn entirely from US records. We found nothing of value for either of our surnames on this site, which seems to be largely an advertising platform. Advertising also looms large on this portal. The surname section boasts ‘Meanings and Distribution of 11 million surnames’. The home page shows a simple search box, a stream of user submissions and a general article on the history of surnames. For an individual search, a selection of excerpts is provided from older surname dictionaries; presumably for copyright reasons, modern scholarly works do not feature here. In view of this, as a footnote rightly says, ‘diligence is advised on accepting [the] validity’ of some of these excerpts. The list of variants and ‘similar surnames’ is fairly meaningless, relying on computer-think rather than informed logic. Mapping illustrates the prevalence of your surname worldwide, or for a selected area. The English section is based solely on the 1881 census; the British analysis apparently takes in census returns from 1881 to 1901, and a table provides the figures, listed by county. This is quite a helpful tool. The site will also ‘transliterate’ your surname, should you wish it, into a variety of other forms including Arabic, Bengali and Tibetan. Meaning-of-Names.com is largely a directory of other sites and navigating through the advertising is a lengthy process, leading in one case to a compulsory marketing survey. www.myheritage.com offers a surname distribution search which is really a personal name search. searchforancestors.com/surnames/origin/ offers a surname origin search of very limited value and a surname distribution search based solely on the US census. It’s not clear what records are used in this analysis. Beyond this brief survey, there are many genealogical sites offering a simple ‘surname origin’ search which lead, at best, to a brief derivation from an unacknowledged source. While the internet and the plethora of genealogical data online should offer rich pickings in terms of surname distribution, this is best carried out on an individual basis on a site such as Ancestry or Findmypast using specific sources. None of the sites we looked at attempted any serious analysis of surname origin. The bridge between painstaking and informed research, and search-box quick fixes, if such a thing is possible, has yet to be made.